Is Google Hiding the Ball on Accidents Stats for Their Self-Driving Cars? Google’s self-driving cars are here, but if you are in a state other than California, you wouldn’t know it from personal experience. To this date, California is the only state to allow these vehicles to be tested on the open roads. Of the 50 vehicles that received permits to be driven on the roads and highways since September of 2014, four of them have been involved in collisions. To be fair, only two of the accidents occurred while the car was not being controlled by a human being. Three of the four accidents involved Lexus SUVs that Google equipped with computing power and sensors. Delphi Automotive is an automobile parts supplier that owns two self-driving vehicles. One of these was involved in the fourth crash. Executives with Google and Delphi denied that their vehicles were at fault in these collisions. They also both claimed that the crashes were insignificant. In September, the Department of Motor Vehicles began to require the owners of self-driving automobiles to report every collision to the agency. Agency officials confirmed that four of these automobiles were involved in crashes, but they could not discuss who was at fault because California’s laws prevented them from doing so. At any rate, one official who read all four reports did corroborate the statement that two of the vehicles were in self-driving mode. Google executives did not volunteer very much information about the accidents, and this has caused some people to protest. One is Consumer Watchdog’s project director John Simpson. He is aware that Google executives eventually would like to manufacture a car that doesn’t have any pedals or a steering wheel. According to Simpson, riders will not be able to manually operate this type of vehicle if the car loses control. Before Google executives are allowed to pursue their ultimate goals, Simpson believes that the public should know that early versions of the driverless car have been involved in accidents. The truth is that Google’s 23 SUVs did not experience their first collisions this past year. Executives started to test these vehicles several years before they received permission from the state. Last year, the head of Google’s driverless car program admitted that three other vehicles were involved in car collisions between the times that they began testing them unofficially and May of 2014. Google executives continue to downplay this matter. In a recent statement, they declared that people must expect accidents to occur in vehicles that have traveled several miles on the roads. According to their calculations, Google’s vehicles have been driven the equivalent of 140,000 miles or 15 years. They insist that the accidents have only resulted in slightly damaged fenders because human drivers were not paying attention. They deny that anyone was hurt physically. The numbers tell a different story when one consults the National Traffic Safety Administration. According to this agency, car crashes that only result in property damages occur at a national rate of 0.3 per 100,000 miles. Compared to the national average, Google’s three property damage collisions per 140,000 miles is much higher, but executives had an answer for this challenge as well. They stated that it’s possible that as many as 5 million unreported accidents could have transpired. If this is the case, it would be difficult to know whether or not Google’s accident statistics are high. Google executives added laser sensors, radar and cameras to their vehicles to give them an advantage over humans. This technology allows these automobiles to know what humans cannot discern with their eyes and ears. In theory, driverless cars are supposed to be able to react more quickly to dangers than humans can, and when they sense that a crash is imminent, they must be able to react by honking the horn and tightening the passengers’ seat belts. Since current technology does not seem to live up to expectations, scientists believe that the next step is to create a driverless car that will not provoke a serious collision. 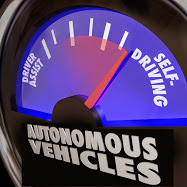 Anything to the contrary will mean that people will not want to volunteer to operate self-driving vehicles and that politicians will be reluctant to approve their use in the near future.